Registration is open for Girl Scout Cadette First Aid and Eating for Beauty workshops. Sign up for one or both. Workshop fee includes badge and all supplies. Sign up for one or both workshops. Purchase an optional box lunch or bring your own if you are attending both workshops and staying all day. Open to Girl Scout Cadettes only. Learn more and register at https://girlscoutcadetteworkshops.weebly.com/. This event is open to all Girl Scout Brownies, Juniors, Cadettes, Seniors, and Ambassadors (2nd Grade – 12th Grade girls). 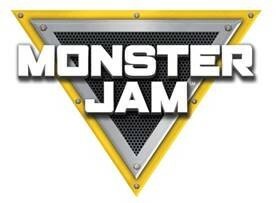 Parents/Chaperones are required to stay with the girls and are welcome to sign up and participate! All activities are indoors. Girls will be participating in caving type activities that will require crawling, climbing and scooting on the floor. Participants must wear long pants and tennis shoes. For more information, contact Theresa Wiggs at 757-482-7146 or Theresa.Wiggs@cox.net. To register, visit www.ccgscavers.org. Deadline to register is January 20, 2018. Annually, top female high school seniors from around the country are selected to participate in the KPMG Future Leaders Program and receive a scholarship of $10,000 per year through four years of college. Selected students attend a three-day retreat at Stanford University the summer before their freshman year of college and take part in a yearlong mentoring program, paired with a female leader participating in the KPMG Women’s Leadership Summit. Learn more about the program and share the application, which is due to the Office of Condoleezza Rice by January 31. Learn how to work with girls on the Camp Skimino Climbing Wall. Attend one of the upcoming Climbing Wall training courses. Visit eBiz for details and registration. Link to register is HERE. Grow Your Troop and Win Big! Everyone knows that Girl Scouts is all about making new friends... and keeping the old! And this the perfect time to round out your troop with some new faces. For every girl you add to your troop between now and January 15, 2018, your troop will be entered into drawings to win fantastic prizes. The more you add, the better your odds of winning! All Council offices will be closed for winter holiday from December 25 through January 1. We will resume normal hours of operation on January 2. Delegate training is required for all Delegates and Alternate Delegates to prepare you for your role as voting members of the Girl Scout Council of the Colonial Coast. Please view the webinar recording where you will learn everything you need to know to be an active, voting member of our Council. Please view the Delegate and Alternate Delegate webinar recording. If you would like to receive credit for viewing this webinar, complete this survey. A cultural talk on the Essence of Traditional Chinese Culture and its Renaissance with a showcase of Chinese music/dance by community volunteers and a gallery walk through the museum’s Asian art collections. This event is jointly hosted by the Asian Community Service Center and the Chrysler Museum of Art. Receive a 2018 Cookie Tote, 5' Table Cloth, Money Pouch, Apron, and Magnet for only $35! (A value of $52.95.) Available for pre-order. Free delivery to your cookie pick-up location. While supplies last. In-stock merchandise only. Receive a discount of 15 percent off your entire purchase. While supplies last. In-stock merchandise only. Only 99 cents each. Non-GSUSA fun patches only. While supplies last. In-stock merchandise only. Join our Girl Scout Alumnae for an adults-only trip to Savannah, Georgia in May. Our accommodations are in the historic district at the Hampton Inn & Suites on West Oglethorpe Avenue in walking distance to most of our activity locations. The Hampton Roads Show, WAVY-TV 10, WVBT FOX43 and community partners – including GSCCC - encourage you to help keep Hampton Roads’ families warm this winter. You can drop off new or gently used coats at Albano’s Cleaners, Ames Cleaners, 1st Advantage Federal Credit Union and Hampton Roads Honda dealers across our region. The gently used coats will be cleaned at Albano’s Cleaners on the Southside and Ames Cleaners on the Peninsula. The cleaned coats will be transported by Harrison’s Moving & Storage to our partnering distribution locations – one of those locations is GSCCC - near you. 10 On Your Side Coats for Families distributions will be on December 16, 2017, and January 20, 2018, from 9 a.m. to noon. GSCCC Marcomm team will be on hand December 16 and January 20 to make sure those visiting and needing coats will be provided service. Prerequisite: each participant must have attended a Challenge Course training. Do you have a service unit encampment coming up at Camp Skimino and want to offer your older girls the opportunity to try out the High Ropes course? Attend the High Ropes training now to be ready for the spring. This course will prepare you to instruct girls on the Camp Skimino High Ropes Course. Register on eBiz by December 15. Cost: $11 per participant (custom self-defense patch included) & bonus activity. Bonus Activity: Roller-skating for all paid participants after workshop is included. From 1-4 p.m., participants may purchase a roller skating patch if they stay. Parents may stay and observe. Tagalongs are welcome. Questions? Contact: Liz Koman at 757-577-2153. Girls Scouts can experience the magic of theatre with a behind-the-scenes tour, theater workshops, and tickets to one of Virginia Stage Company's amazing productions! Tickets are $28 for each Girl Scout (includes patch). Troop leaders receive a free ticket. Additional adult tickets are $35 each. 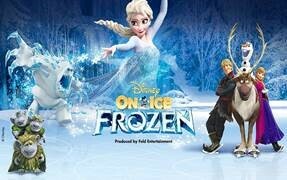 Additional child tickets are $25 each. This two-part course is for adults with camping experience who are ready to learn advanced cooking methods, program and outdoor skills. Register through eBiz. Deadline to register is January 7, 2018. Warmer-weather camping season is just around the corner! Be sure you are ready to take your girls camping by attending the Outdoor I and II Combined Course. After taking this course, troops will be able to sleep in platform tents, cook using charcoal and propane, and have a ceremonial campfire. Register through eBiz. Deadline to register is January 11, 2018. Does your troop have a first-aider? Has your first-aider’s certification expired and now needs to attend an upcoming class? If so, register for a classroom First-Aid/CPR/AED Training today by visiting the EMTA Enterprises website. Open to girls in high school, this workshop will prepare girls for their Girl Scout Girl Award. Learn how to successfully plan and carry out a project. Attend one of these upcoming trainings, and you will be able to instruct girls on the Camp Skimino and the Camp Darden Courses. Get ready for your encampments or camping trips now by attending the Challenge Course Instructor Training at Camp Skimino on December 10, 2017, or the course at Camp Darden on February 18, 2018. On December 8, GSCCC Peninsula Service Center will be closed all day and the Chesapeake office and shop will close at 11:30 a.m. for our staff holiday event. All Council offices will be closed for winter holiday from December 25 through January 1. We will resume normal hours of operation on January 2. Delegate training is required for all Delegates and Alternate Delegates to prepare you for your role as voting members of the Girl Scout Council of the Colonial Coast. Register for one of the trainings where you will learn everything you need to know to be an active, voting member of our Council. Register through eBiz. Once you register for the webinar through eBiz, you will receive a link to register for the webinar. Register for either or both on eBiz! Receive a discount of 15 percent off your total purchase! Refreshments will be served. Draw a snowball at checkout and receive a 5 percent, 10 percent, 15 percent, or 20 percent discount off the entire purchase. May not be combined with any other offer. The shops will be closed Saturday, December 23, 2017, to Monday, January 1, 2018. The shops will resume regular shop hours beginning Tuesday, January 2, 2018. Need to take babysitter training in time for the holidays? A training was just added on Saturday, December 2, 2017, from 9 a.m. to 1 p.m.
GSCCC offices and shops will be closed for the Thanksgiving holiday on November 22, 23, and 24. Cost: $2 per girl (includes rocker). This is a girl-only event. No tagalongs. One Girl Scout registered adult may be asked to stay to meet ratios but does not pay. Come be a part of the Horton Wreath Society annual tradition. Earn the cookie baking rocker by bringing a donation of cookies. Cookies need to be individually bagged with 2-3 cookies per bag. Include the name of the cookie and if it contains any nuts or peanut butter. A representative will be present to accept the cookies and share information about the importance of the upcoming wreath laying event on December 16, at the Albert G. Horton Cemetery in Suffolk. Minimum group order is 15 tickets. Discount valid on Thursday and Friday performances only. Deadline for group orders is November 10. Additional fees may apply. Minimum group order is 15 tickets. Deadline for group orders is January 15. Group pricing is not available for premium seating. Additional fees may apply. Box Office Hours: 10 a.m.-5 p.m., Monday-Friday; closed Saturday and Sunday. Drop off your donation items anytime beginning 5:30 a.m. on November 17 until 3 p.m. on November 19. See flyer for details. Questions? Call 757-627-6599. 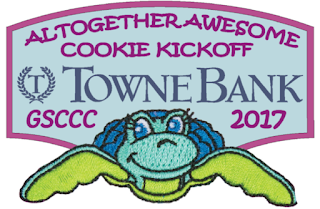 Altogether Awesome Cookie Kickoff - Register Today! This family friendly event is open to all grades. Tagalongs are welcome. All must pay to attend. Join your fellow Girl Scouts at the Virginia Aquarium & Marine Science Center for an activity-packed party that combines learning and fun to kick off the cookie season the right way. Girls will gather to help build skills, set goals and complete steps toward earning badges and the Girl Scout Cookie Activity pin. Girl Scout Program Basics, Part II: 3–5 p.m.
Troop Organization Tips: 3–5 p.m. Traditions and Songs – Pass It On: 3–5 p.m.
See the event flier for information. Register on eBiz by November 16. No cost. Girl Scout adults only. Registration Deadline: November 12, 2017. A vision board helps inspire you to image the future. It represents a tangible example, idea or representation of where you are going. It should represent your dreams, goals, and your ideal life. Join Kate Godby, a GSCCC alumna, as she shares her inspirational journey that motivated her to make a vision board. She will share her tips to guide you through creating a vision board as you prepare for the New Year. Bring pictures or images that represent or symbolize the experiences, feelings and possessions you want to attract in your life. They can be photographs, magazine cutouts or images from the internet. You will also want to include affirmations, inspirational words, quotations and thoughts. Choose things that make you feel good. Be creative! Calling all troop leaders! Through your dedication to the G.I.R.L.s you serve every day, you’ve already shown us that you believe in the power of every girl to stand up, speak out, and accomplish amazing things. Help us unleash that power in more girls by taking the G.I.R.L. Agenda pledge and you could win a limited-edition patch for your troop! Take the G.I.R.L. 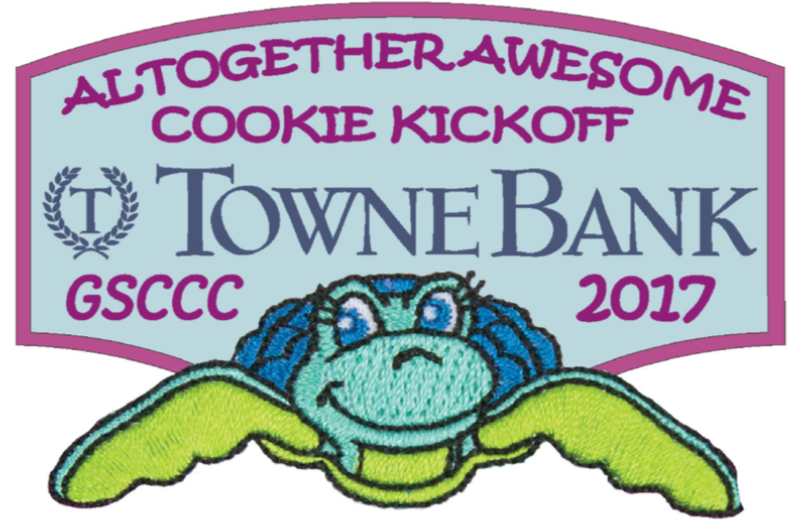 Agenda Grow Your Troop pledge between November 1 and November 15, 2017! Once the pledge closes, 600 prize winners will be randomly selected to receive a FREE limited-edition G.I.R.L. Agenda patch for their troop. In addition, four grand prize winners will be randomly selected to have GSUSA share their story on Facebook (on Thanksgiving! ), as well as receive the patch for their troop. SWEET! Visit the G.I.R.L. Agenda Pledge to Grow Your Troop website for full details. Girl Scout Cadettes, Seniors, and Ambassadors. $8 per girl (includes patch and snack). 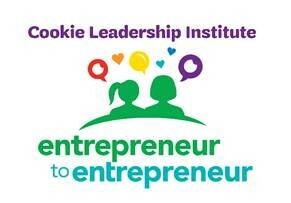 Entrepreneur to Entrepreneur helps girls understand how skills learned selling cookies can lead to success in the professional world. As part of this exciting new program, local successful women in business will speak to girls as fellow entrepreneurs, inspiring and encouraging them to reach their dreams. Girls will create their own business plans, engage in fun, hands-on activities and receive mentoring from strong women in business. Register on eBiz by November 18. We're giving you and your girls options ... outside options! We've added outside activities to ten badges in the Volunteer Toolkit (VTK). Research shows nature-based activities challenge girls and support their social development by encouraging them to become more self-aware and to cooperate, communicate, and solve problems more effectively. Click on the new Get Girls Outside! banner at the top of the Year Plan and Meeting Plan tabs on the VTK-----both tabs are filled with details on the new Get Girls Outside! features and how to access them. Outside activities often place girls in new physical, psychological, and social situations that motivate curiosity and foster a sense of discovery, so let's Get Girls Outside! Cost: $30 per girl (includes lunch, MEdia Journey and MEdia Savvy badges). This event is for Girl Scout Cadettes only. Registered adults may be asked to stay to meet ratios. Participants will complete all aspects of the MEdia Journey - Monitor, Influence and Cultivate activities and no book is required! After registering for this event, you will receive a link with instructions for payment, permission forms and required items to bring. For more information or to notify of food allergies, contact julie.verdura@yahoo.com. Receive training on the Camp Darden Challenge Course, and you are qualified to instruct girls on the Camp Skimino Challenge Course. Receive training on the Camp Skimino Challenge Course, and you are qualified to instruct girls on the Camp Darden Course. In order to keep your certification current, you must provide at least eight hours of instruction time during a 12-month period. Options for providing instruction may include service unit encampment, core camps, and Council events. The Challenge Course training will be required if more than 12 months pass without providing the minimum eight hours of low ropes instruction. Document your time on the course each time you instruct by filling out the Low Ropes/Challenge Course Instructor Record. Submit your completed form annually by June 30 to the Council learning manager at customercare@gsccc.org. Volunteers do wonderful things and they go above and beyond the expectations of their position. Take time to recognize these go-getters by nominating them for a GSUSA national award. The deadline for nominations for the Appreciation Pin, Honor Pin, Thanks Badge, and Thanks Badge II is Wednesday, November 1, 2017, for volunteer service performed in the 2016-2017 membership year. Awards will be presented before the Annual Council Meeting on Saturday, February 10, 2018, at the Chesapeake Convention Center. Find information about the awards and nominations forms on the Council website at gsccc.org. Girl Scouts of the Colonial Coast formally recognizes volunteer years of service of 20 or more years (in increments of five years) at the Annual Awards event. This event will be held on Saturday, February 10, 2018, at the Chesapeake Convention Center. If you have served as a volunteer for 20, 25, 30, 35, or more years, let us know by completing the nomination form by Wednesday, November 1, 2017. Nominations are due to Girl Scouts of the Colonial Coast by Wednesday, November 1, 2017. You've received an email from the Council office to let you know that a new Girl Scout will be joining your troop. What are your next steps? Login to My GS to see if the new Girl Scout has a parent that is also registering to volunteer with your troop. To see your troop roster, follow these steps to login to My GS. Go to gsccc.org and click on "My GS". Select "Member Profile" from the drop-down menu. Login to your account. If you do not know your login information, click "Forgot Your Password?" and enter your email address as your username. An email will be sent to you immediately with steps to reset your login information. Click the "Troops" tab to view your troop members. Email your new Girl Scout and her family. Use this template or create one of your own. Learn what it means to be a member of the GAB team (Girl Advisory Board). As a GAB girl, you have a voice in determining what types of programs we offer. Become part of a team that makes events come to life! Meetings are one Sunday per month. Come meet the team and find out if this is for you! This is a girl and adult activity. Come out and meet the volunteer Girl Scout Gold Award Committee. Girls - bring your questions and project concepts. Committee members will share tips to help you on your path to earning your Girl Scout Gold Award. There will be a session for parents, caregivers, leaders and advisors to get information. Take this opportunity to ask questions that will help girls as they strive towards earning Girl Scout Gold. Register on eBiz by November 13. 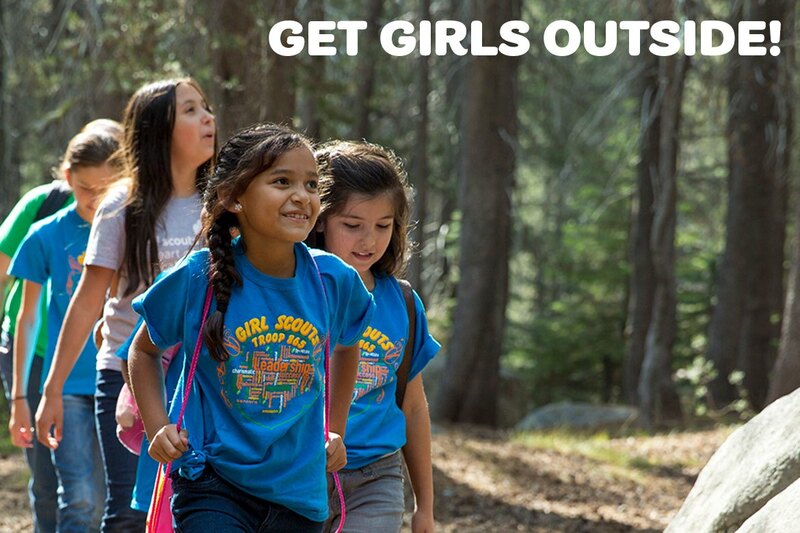 Be Prepared to Get Your Girls Outside! Troop or group leaders can appoint another volunteer in the troop to serve as the camp expert, as long as that volunteer completes all appropriate training and accompanies the troop or group on camping trips. Who will you be sending to the outdoor training? Once you or a volunteer from your troop has her or his training, share what you learned with your girls as they work on earning their Outdoor Journey or Outdoor Badges. The GSCCC fall product program is in full swing, girls are busy managing their online stores, as well as going door-to-door collecting orders. It is not too late for YOU to join in the fun! Girls have the opportunity to earn amazing rewards, as well as earn proceeds for troop activities. An exciting new reward is FREE admission to the Cookie Kickoff at the Virginia Aquarium & Marine Science Center; to be eligible, girls must sell any combination of 100 items. For more information on the GSCCC fall product program, visit gsccc.org. Learn how the fully customizable digital planning Volunteer Toolkit (VTK) can save you time and energy all year long, so that you can focus on unleashing the G.I.R.L. (Go-getter, Innovator, Risk-taker, Leader) in her, ensuring she has every opportunity she deserves to build a lifetime of leadership, success and adventure. View this short video and learn how you can save time when using the Volunteer Toolkit! 1. Click on the yellow "My GS" link located at the top right. 3. Sign in using your member username and password. 4. Click on “Volunteer Toolkit” to get started. Don't miss your chance to register by October 22, 2017! In the evening, join us at the Camp Skimino All-Camp for a campfire, silly songs and awards. No previous camping experience or training is required. The per-person price includes meals, lodging, outdoor education activities, a patch, and a badge. For an added bonus, each troop may register two volunteers to each of the following courses: Low ropes training, archery training and Outdoor I and II training. Take your troop on an awesome camping trip and adults come away with training. What could be better! Each troop is to assure the girl-to-adult ratio is met (do not count volunteers attending training in the girl-to-adult ratios). Volunteers contact CustomerCare@gsccc.org to register for the training courses. This is a troop or group event. Both girls and adults pay to attend. No tagalongs. Questions? Contact CustomerCare@gsccc.org. Receive a discount of 15 percent off entire purchase when you show your Military ID. You are cordially invited to attend NASA Langley’s Open House. This event features: tours, lectures, and hands-on activities showcasing NASA Langley’s “storied legacy and soaring future”. This is a wonderful opportunity for Girl Scouts to experience the evolution of space exploration, see a variety of STEM careers, and make authentic workforce connections. If you are interested in bringing a group by bus, contact Ann Marie Trotta at ann.marie.trotta@nasa.gov for additional details. For more information, visit the NASA Langley Research Center open house webpage. Events Closing Soon! Register Today. Visit the GSCCC Event Page for event details and registration. This is a girl and adult event. New Registration Deadline: October 20. Learn how to work with girls on the Camp Darden Climbing Wall. 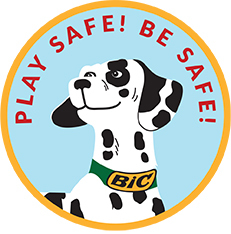 Girl Scouts of Connecticut and BIC have partnered to develop and offer the Play Safe! Be Safe! Fire Safety Education Patch Program. What a great way for Girl Scout Daisies and Brownies to learn about fire safety and then earn a free Fire Safety Education Patch! Safe for Play! Keep Away! 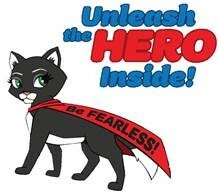 To earn the free patch, girls complete 6 out of 11 interactive activities relating to the lessons, which includes a visit to a local fire station, completing a mock fire drill, and writing a skit or story about the importance of fire safety. Volunteers can now view the Troop Openings Opportunity Catalog online to find troop openings for girls and adults without using the Join button on the GSCCC website. To view troop openings for girls, visit: https://girlscouts.secure.force.com/girl/GirlCatalog_TroopGroupRoleSearch. To view volunteer opportunities for adults, visit: https://girlscouts.secure.force.com/VolunteerCatalog_TroopOrGroupRoleSearch. For additional information, contact customercare@gsccc.org. We are changing the way we refer to girls who earn our highest awards. Effective immediately, we will use “Gold Award Girl Scouts”, "Silver Award Girl Scouts” and “Bronze Award Girl Scouts”. This language has the potential to strengthen engagement with our brand. We are excited for our movement because it allows us to effectively incorporate our highest awards and, more importantly, the girls who work so hard to earn them, into the larger Girl Scout story. Do You Want to be a Parliamentarian? The Chesapeake Unit of the National Association of Parliamentarians is offering eight students the opportunity to participate in a parliamentary procedure course on Saturday, October 28, 2017. The course and materials (RONR-in-brief) are free, however, students are required to apply for membership in the national ($75) and state organizations ($15). The total membership fees of $90 will cover the testing process and membership for the remainder of 2017 and all of 2018. The local Chesapeake Unit has a membership fee of $25, invited, but not required. The cost for full-time students and active duty military is half for national and local fees. Visit the National Association of Parliamentarians website to apply by October 21. If you are interested in applying, email Martha Rollins at mgrnap@aol.com. Senior high school students and leaders are invited to volunteer at the NASA Langley Research Center Open House on October 21, 2017, from 9 a.m. to 4 p.m. Volunteers will work a 4-hour shift either 8:30 a.m.-12:30 p.m. or 12:30-4:30 p.m. A certificate of participation for hours of support will be emailed after the event. Register by noon on Friday, October 13, 2017. Once registered, volunteers will receive an email with session details and training material attachments. Informal training sessions will take place the second and third weeks in October. Registration closes October 11, 2017. Learn what it takes to run a tight ship as we cruise aboard the newly renovated Spirit of Norfolk. Experience a unique excursion along the Elizabeth River and enjoy the spectacular views of the Norfolk and Portsmouth skyline as well as the Navy's Atlantic Fleet. Celebrate Juliette Gordon Low's birthday in a costume representing a career of your choice and enter the contest to win! This is a girl and adult event. Both must pay to attend. No tagalongs. Participate in our centerpiece contest - email donnaf@gsccc.org for contest rules. Only 20 spaces available for centerpiece contest. GSCCC is hosting two Girl Scout Destinations. Start planning now for the adventure of a lifetime! In Athens, Florence and Barcelona, you can trace the cultural and artistic development through the ages. The Parthenon in Athens displays ancient understanding of engineering and an appreciation for the aesthetics of architecture. Florence, Italy reveals the giant leaps of the Renaissance. And, in Barcelona, Gaudi’s Surrealist work proves that there is no limit to artistic creativity. Experience the sights, sounds and tastes of these three cities on your 10-day Mediterranean adventure! These lands were once home to ancient Celtic and Gaelic tribes. Step into the Middle Ages on Edinburgh’s Royal Mile and under the towering spire of St. Patrick’s Cathedral in Dublin. In Belfast, see how old conflicts have given way to an influx of restored 19th century architecture and a thriving arts scene. Girls must be 13-18 years old at the time of travel. Questions? Contact Eileen at queenleen221@gmail.com. The Fall Product program is a simple and fun program that combines educational activities with money-earning opportunities for girls. Last year, our Girl Scouts earned $98,000 in troop proceeds to support activities, service projects and trips. Busy volunteers and families can choose to participate online only, and never have to deliver product or collect payment, and it only takes a few steps to get started! Register, setup your store, then send emails, texts or post to social media asking friends and family to support your Girl Scout. Click here to get started; use Council code: 2690139. Prefer the traditional door-to-door sale? Please reach out to your troop leader or customercare@gsccc.org for more information. Visit us online for more details on the Fall Product Program. GSCCC’s Fall Product Program continues through November 12, 2017. Volunteers needed from 4-10 p.m. STEAM Volunteer Description- Volunteers will serve in assisting Nauticus educators in leading hands-on, STEAM (science, technology, engineering, arts, and math) activities that will be fun and exciting for our participants. Essential Skills- Interested volunteers are at least age 14, have an interest in STEAM and education, experience working with children in a formal and/or informal setting, and be creative, energetic, and flexible. Effective communication and the ability to interact positively with children and other crew members a must! If interested, contact Susie Hill, Nauticus Education Specialist/Special Programs Manager, at 757-664-1041 or rebecca.hill@norfolk.gov. The following events are closing soon! Register today on eBiz. Join us for a fun-filled night at our 3rd Annual Nauticus STEAM Night for Girl Scouts! Touch a shark, build and test underwater robotic ROVs and enjoy hands-on activities in our science, technology, engineering, arts, and math (STEAM) themed stations. Meet local professionals in these fields and learn how to make STEAM your career! This is a girl and adult event. Both must pay to attend. No tagalongs. Led by the Hampton Roads Chapter of the Society of Women Engineers (HR-SWE), join us for exciting activities that explore the areas of robotics, electro-magnetism, chemistry, hydrodynamics and structural engineering. All-new activities will focus on critical thinking, problem solving and collaboration. These women engineers are excited to ignite the enthusiasm of tomorrow's engineers, innovators and scientists with a day of fun! Note: Bring a bag lunch. This is a girl only event. No tagalongs. One Girl Scout registered adult may be asked to stay to meet ratios but does not pay. Learn what it takes to run a tight ship as we cruise aboard the newly renovated Spirit of Norfolk. Experience a unique excursion along the Elizabeth River and enjoy the spectacular views of the Norfolk and Portsmouth skyline as well as the Navy’s Atlantic Fleet. Celebrate Juliette Gordon Low's birthday in a costume representing a career of your choice - will you win the contest? Participate in our centerpiece contest; email donnaf@gsccc.org for contest rules. Only 20 spaces available for centerpiece contest. This is a girl and adult event. Both must pay to attend. No tagalongs. Tickets are limited. For large reservations, purchase tickets early to guarantee group seating. Have you signed on to the Volunteer Toolkit (VTK)? Have you started to build your troop's year plan? Have you looked at the resources available to you...right at your fingertips? Sign on and discover the new STEM (science, technology, engineering and math) and Outdoor Journeys for Girl Scout Daisy, Brownie, Junior and multi-level troops. 1. Click on the yellow "My GS" link located on the upper right corner. 3. Sign-in using your member username and password. 4. Click on "Volunteer Toolkit". Does your troop have a first-aider? Has your first-aider's certification expired and now needs to attend an upcoming class? If so, register for a classroom First-Aid/CPR/AED training today by visiting the EMTA Enterprises website. Prerequisite: You must be able to swim and tread water for 10 minutes. Visit eBiz for complete details and to register by October 1. Register at the EMTA Enterprises website. Begins Friday, November 3, 2017, 4:30 p.m.
Ends Sunday, November 5, 2017, 4:30 p.m.
Visit eBiz for complete details and to register by October 10. Volunteer Essentials is your guide to volunteering with Girl Scouts. This handbook will guide you through everything you need to know as a Girl Scout volunteer. From taking trips and staying safe, to managing finances and program materials, Volunteer Essentials is your Girl Scout encyclopedia that's there when you need it. Volunteer Essentials has been updated for October 2017. Review the Summary of Changes to see the latest updates. While the basic guidelines for working with girls can be found in Volunteer Essentials, the Safety Activity Checkpoints contains guidelines for specific activities- including archery, hiking and selling Girl Scout Cookies. Safety Activity Checkpoints has been updated for October 2017. Review the Summary of Changes to see the latest updates. We missed some of you at Volunteer Kickoff on Saturday, but we don’t want you to miss a limited opportunity to invest in Camp Darden’s Dining Hall! 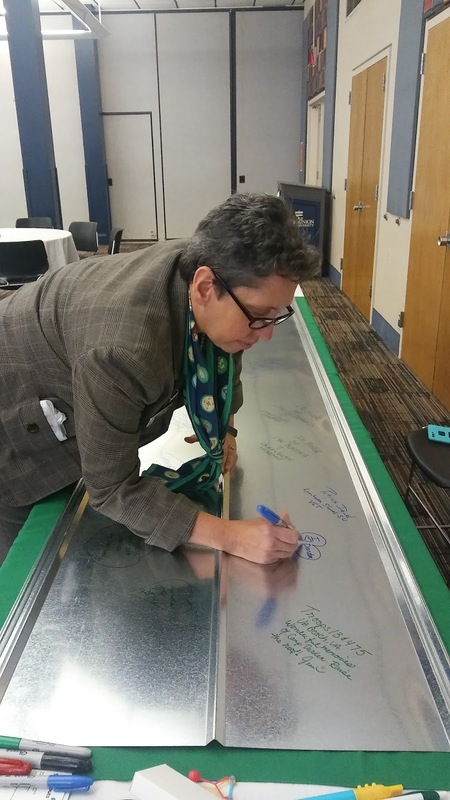 Make your gift of $50 or more today to support the outdoor experience for girls and sign a piece of tin to be placed in the Dining Hall when the roof is repaired. All gifts must be made before midnight on September 30th! Help GSCCC close out the 2016-2017 year strong and get us ready for a landmark 2018! The tin will be available to sign between now and October 31st at A Place for Girls. Come by to sign a piece of Camp Darden! Virginia's First Lady, Dorothy McAuliffe, has designated September 29th as Virginia Food Access Network's first ever Feed Virginia Day of Action. In every part of Virginia, local organizations will be hosting events that support our food system and promote access to healthy foods and communities. See flyer for more details. If interested, contact Susie Hill, Nauticus Education Specialist/Special Programs Manager at 757-664-1041 or rebecca.hill@norfolk.gov. The Prudential Spirit of Community Awards honors students in grades 5-12 who have made meaningful contributions to their communities through volunteer service. There are awards on the local, state and national level. Ten National Honorees will receive $5,000 awards and a trip to Washington D.C. to attend a recognition event! Find out more here. Email questions and applications to customercare@gsccc.org.